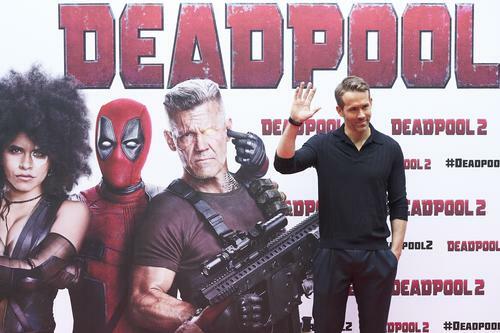 The latest Twitter beef is a most unusual yet irresistibly hilarious war between Ryan Reynolds and Paddington Bear. Yes, the fictional children’s book character. The Deadpool star and Paddington 2’s lovable bear are nominated various People’s Choice awards. While Reynolds expressed his gratitude for the nominations, he also threw a jab at Paddington Bear. He tweeted, “Hope you vote for Deadpool 2 and feel free to write us in for Best Family Film. Because watch your f*cking back, Paddington”. This is something we’d certainly expect from Reynolds because as we know, no one is off limits to his twitter banter, even his wife Blake Lively or his daughter. Paddington, however, did not back down. He tweeted back, “#hardstare.” British Actor Hugh Bonneville, who plays Paddington’s foster father in the nominated film, then clapped back as well tweeting, “Language Mr. Reynolds, Language”. Deadpool 2 is nominated four times at the awards show this year, including noms for Movie of 2018, Action Movie of 2018, Male Movie Star of 2018 and Action Movie Star of 2018. Paddington 2 is only nominated for Family Film of 2018, but Reynold just couldn’t let him have that one, apparently.